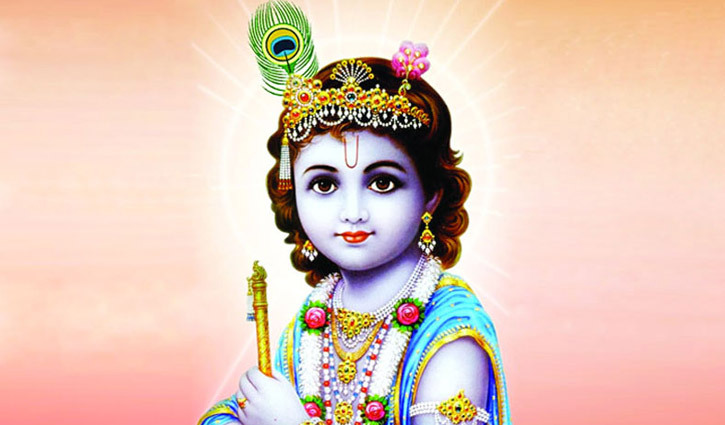 The holy Janmashtami, the birth celebration of Sri Krishna and one of the major festivals of the Hindu community, was observed on Sunday in the capital and elsewhere across the country with due religious fervour and enthusiasm. According to Hindu religion, Lord Vishnu incarnated in the universe as Lord Krishna in the prison of Raja Kangsa on this day, the eighth of “Shukla Pakkha” (bright fortnight) in the month of Bengali calendar Bhadra in Dwapara Yuga in order to protect “Dharma” from the hands of devils. Sri Krishna was born to Devaki and her husband Vasudeva in Mathura to which Krishna’s parents belonged. Hindu community members brought out processions in the capital, divisional cities and district towns displaying the eventful life of Krishna and held other programmes on the occasion. Different social, cultural and religious organisations chalked out elaborate programmes to observe Janmashtami. President Abdul Hamid hosted a reception at Bangabhaban marking the day. Meanwhile, the President and Prime Minister Sheikh Hasina in separate messages greeted the members of Hindu community on the occasion of Janmashtami. Besides, national dailies have published special articles while Bangladesh Betar and Bangladesh Television and other private TV channels and radio stations airied special programmes highlighting different aspects of the eventful life of Lord Krishna.